The Board of Directors for Enterprise Florida, Inc. (EFI) met Tuesday on the campus of Florida A&M University to map future initiatives and opportunities. 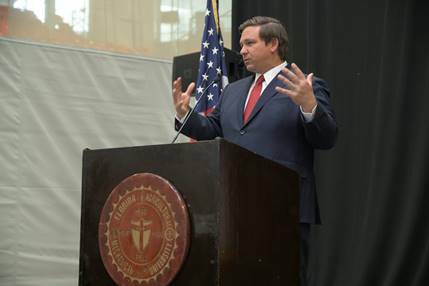 Governor Ron DeSantis, chairman of the Board, addressed directors on his vision for future economic growth and opportunities. “Florida’s future is bright, our governor is bold, and Enterprise Florida is ready to be the go-to hub for the insight and intelligence we will need for the economic growth and diversification that our citizens deserve,”said Joe York, Vice Chairman of the Enterprise Florida Board of Directors.